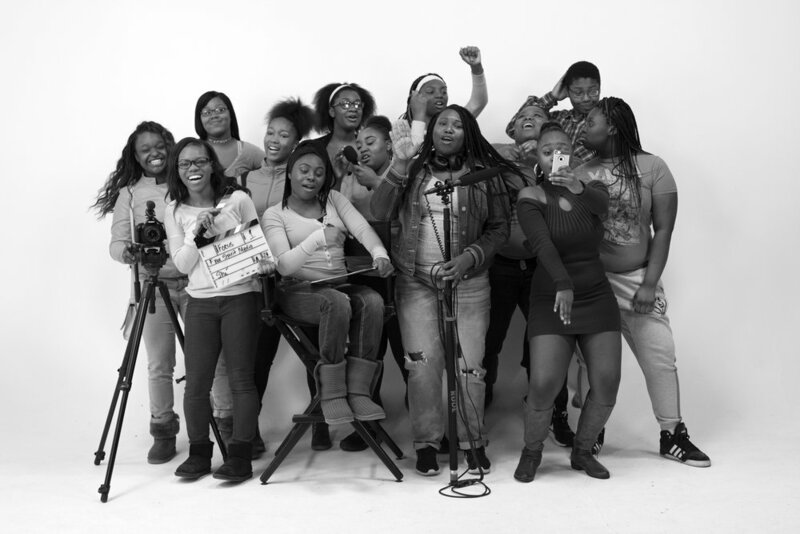 FREE SPIRIT MEDIA provides teens and young adults in communities of color on Chicago’s West and South sides with a comprehensive foundation in media literacy and hands-on media production experience. Free Spirit Media runs IN-SCHOOL arts education, AFTER SCHOOL and summer digital media programs, and advanced CREATIVE WORKFORCE DEVELOPMENT programs. FREE SPIRIT MEDIA transforms media and society by providing opportunities for emerging creators, primarily from communities of color, to produce and distribute original content and to pursue artistic, personal and professional aspirations. Free Spirit Media pursues this mission by providing an engaging learning environment that stimulates meaningful media creation, fosters an entrepreneurial and visionary culture, taps into the talents of the Free Spirit Media team, and understands that social transformation is only viable when individuals promote and practice equality, inclusion, and solidarity. SINCE 2001, Free Spirit Media has empowered more than 6,500 youth to share their stories, discover their potential, build 21st century skills, and engage with peers and communities through digital media. 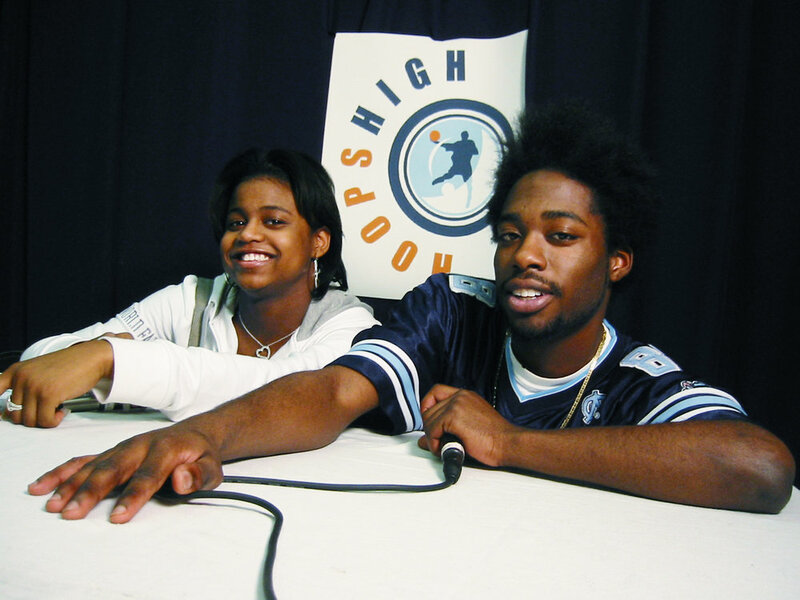 Free Spirit Media was initially established by current Founder & Executive Director, Jeff McCarter in 2000 with the formation of HoopsHIGH, a sports broadcasting after school program. From a humble start with one program and two volunteer staff members, a team of 26 highly talented and passionate media production and youth development professionals— including program alumni—now lead Free Spirit Media, which has expanded to offer a comprehensive foundation in media literacy and hands-on media production experience across six program sites on Chicago’s West and South sides. Correspondingly, the reach of Free Spirit Media’s programs has grown to serve over 500 Chicago youth ages 14 to 25 annually. In-School digital arts education begins. Being Big is a Choice PSA wins Chicago/Midwest Emmy. Real Chi Youth civic journalism program launches. Free Spirit Media expands into the Nichols Tower at Homan Square. PRODUCING over 700 compelling media pieces each year, Free Spirit Media participants use the documentaries, sports broadcasts news packages, audio stories, PSAs, and narrative films they create as a means of developing their own authentic voice while actively participating in their community's growth. OFFERING an incremental line up of opportunities that positions youth to continue advancing 21st Century skills beyond adolescence has been the key helping young people advance from emerging creatives to productive, connected, and engaged adults. FOCUSING our programming and recruitment in economically emerging communities on Chicago's West and South Sides, Free Spirit Media opperates across 6 program sites with participants representing 40 unique zip codes. We aim to reach Black youth and youth of color, and youth marginalized based on other aspects of their identity such as class, gender, or immigrant status. CHANNELING our enthusiasm for growth and deeper engagement as we embark on our '2020 Vision' Strategic Plan, Free Spirit Media is motivated to continue innovating our program line up, bridge access to new channels of self-expression, and foster self-confidence in our participants while developing new skills and knowledge, giving them an edge in competitive professional media industry opportunities. SUSTAINING our programs and trajectory requires mindful pacing, structure, organizational development, and collaboration. Our balanced portfolio of financial support provides us with the freedom and independence to constantly innovate.